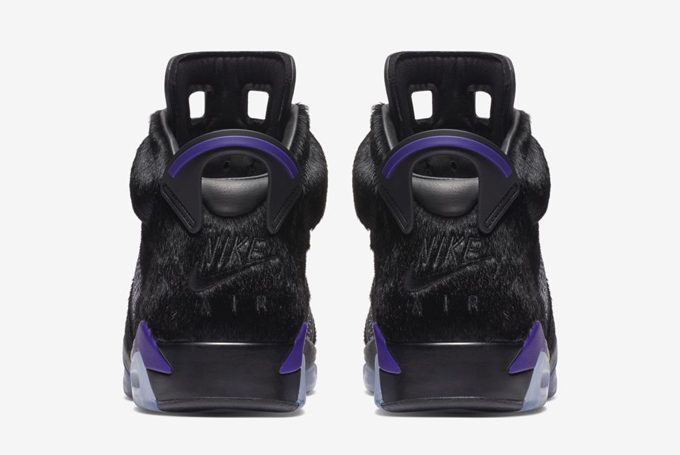 The NIKE AIR JORDAN VI NRG forms part of this year’s All-Star weekend line-up, releasing in collaboration with Charlotte-based retailer Social Status. 1991 was the very year that Michael Jordan secured his place as the best player in the league, and guess what was laced on his feet? 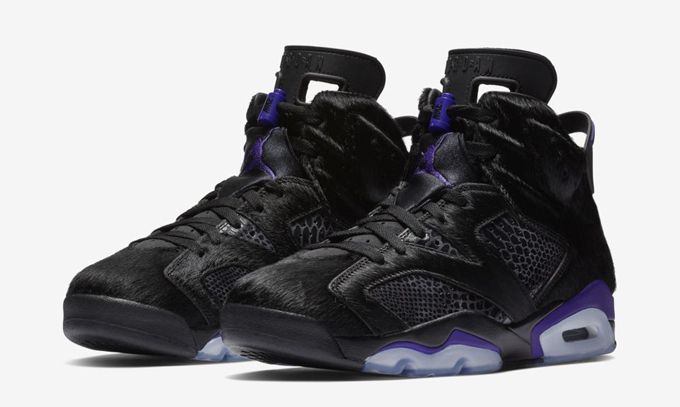 The Air Jordan VI. A big year by all accounts, it saw the legendary Chicago Bulls player clinch his fifth scoring title, second league MVP, and the first of his iconic six championship rings. With the NBA All-Star Game in Charlotte on the horizon, Jordan Brand has lined up some big Jordan releases as part of the celebrations – and this Social Status exclusive is one of the big guns. 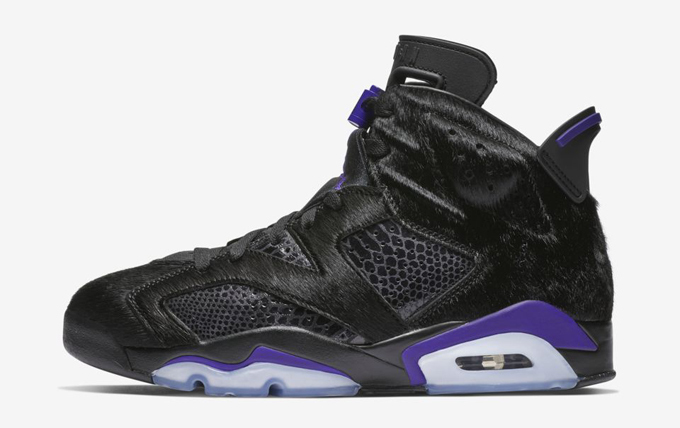 Rendered in a luxurious black snakeskin pattern and cowhide upper, this special edition of the Jordan 6 pays tribute to Michael Jordan’s tenacity and the Jordan-owned Hornets franchise with rich black and purple hues throughout. As well as the colours and materials, the additional inclusion of premium faux fur on the perimeters of the overlays represent ‘the beast’ within the player’s game style. Much like the upcoming AIR JORDAN IV BRED, OG Nike Air branding sits at the heel, making a welcomed nod to the past.